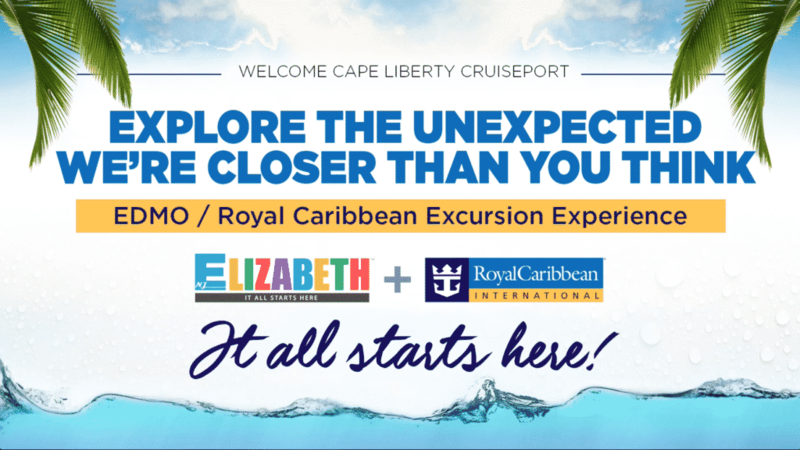 Guests sailing on a Royal Caribbean cruise out of Cape LIberty Cruise Port in Bayonne, New Jersey, will have the option to take shore excursions to one of New Jersey’s oldest and most historic cities, Elizabeth. 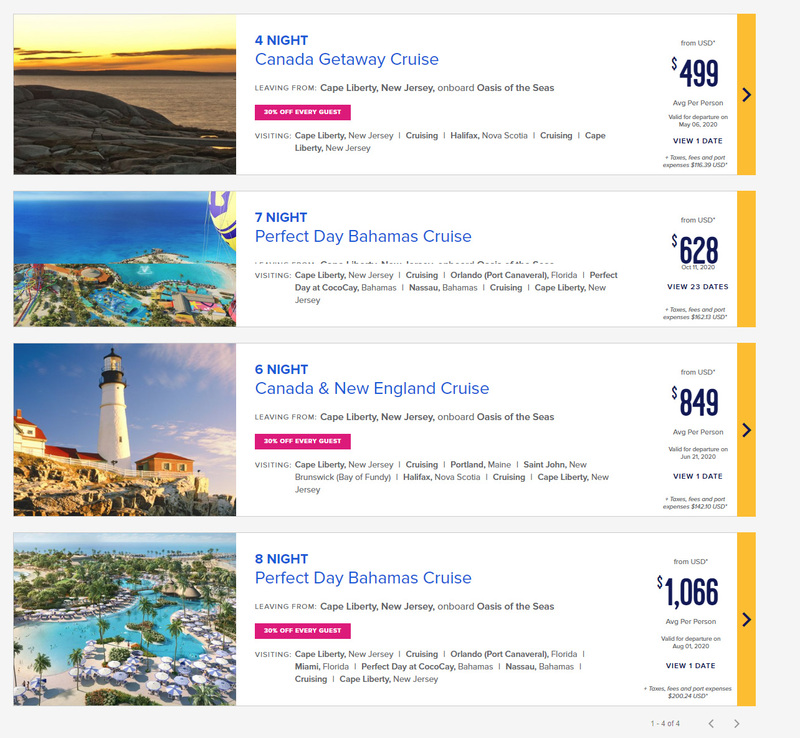 A new partnership between Royal Caribbean and EMI Global offers passengers the option to book a post-cruise excursion in and around Elizabeth. Elizabeth is known for its historical precedence of being the starting point for New Jersey (est. 1664) and home of America’s founding fathers, like Alexander Hamilton, Elias Boudinot , Marquis de Lafayette and many others. Additionally, Elizabeth is noted for its rich ethnic diversity, representing more than 50 countries and 37 language groups, authentic cultural cuisine, and as being the 5th best City for Shopping in America due, in part, to being the location of New Jersey’s largest outlet and value retail center, The Mills at Jersey Gardens, a Simon Center. Guests can get more information about these shore excursions at www.GoElizabethNJ.com/RCCLExcursions. Earlier today Royal Caribbean and the Port Authority of New York & New Jersey dedicated the new cruise terminal at Cape Liberty Cruise Port, which will be the home for Quantum of the Seas. Royal Caribbean President and COO Adam Goldstein and Vice President of Port Operations Juan Trescastro along with Bayonne Mayor James Davis, Port Authority of New York & New Jersey’s Director of Port Commerce Richard Larrabee dedicated the new cruise terminal to Art on the Working Waterfront. Together, the gentlemen unveiled 10 photographs that capture the unique energy and character of historic New York Harbor through the eyes of photographer and International Longshoreman Association-member John Bacaring. Following the unveiling, the officials and executives were invited to the very first preview of the new terminal, slated to welcome guests for the first time when Quantum of the Seas, arrives in New York Harbor on November 10, 2014. 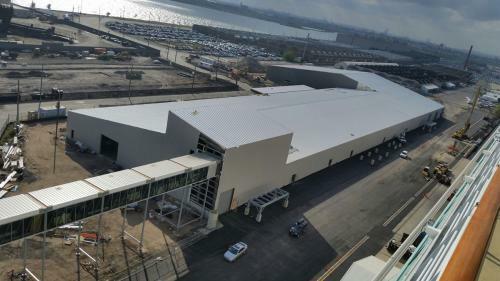 Thew new terminal is located at 4 Port Terminal Boulevard is a successful partnership between Royal Caribbean and the Port Authority to develop the Bayonne waterfront for cruise tourism. The first phase of the $55 million port expansion includes a new, state-of-the-art guest terminal, with 125,000 sq. ft. of check-in, customs and immigration, and luggage processing space, as well as a 950-car parking structure and pier improvements. 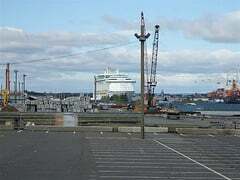 The new facility is adjacent to the first cruise terminal, opened in 2004. We're just weeks away from Royal Caribbean launching its newest cruise ship, Quantum of the Seas, and each day we are showcasing something different about this amazing ship to get everyone ready for its debut. While Quantum of the Seas is slowly making her way from her shipyard in Germany, Royal Caribbean is quietly working on expanding the port facility that will Quantum will call home. 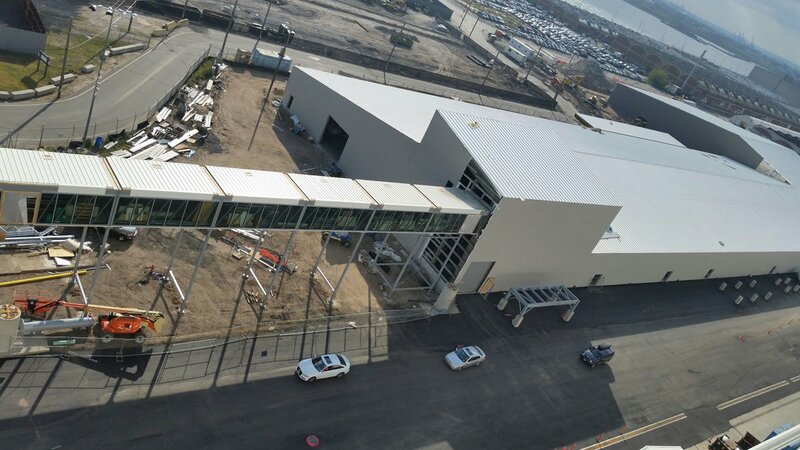 Cape Liberty cruise port in Bayonne, New Jersey will be home to Quantum of the Seas and the port facility is being expanded to meet the needs of this massive new ship. Our friend Mike Sobbell of Autism on the Seas sent in these photos from just a few days ago of how the port is looking. Many thanks to Mike for these photos and especially all he does with the Autism on the Seas organization. Stay tuned for tomorrow's post as we celebrate 99 days of Quantum! Last week plans for construction to begin on the renovations of Cape Liberty's cruise terminal were halted after the construction plans impacted a September 11th memorial. The renovation plans are back on track now after the Port Authority has come up with a plan for ensuring the 9/11 memorial is not destroyed. NJ.com is reporting the small group of memorial pavers that encircle the 9/11 Teardrop Memorial at the south end of the Peninsula at Bayonne Harbor will be temporarily removed when repair work at the site begins. The renovation work on the terminal is necessary to allow the port to accomodate Royal Caribbean's newest cruise ship Quantum of the Seas for her November 2014 arrival. 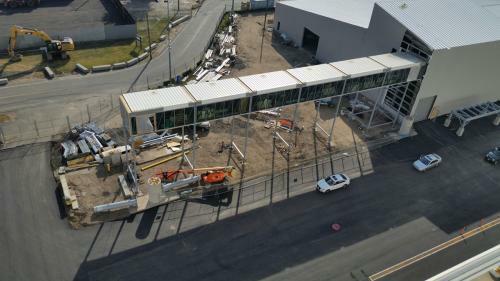 “The start of the construction is contingent on the city of Bayonne’s approval,” said Port Authority spokesman, Steve Coleman. Coleman estimates the pavers will be out of the 9/11 memorial ground for roughly three to five months. “These pavers will be restored to their original locations when the work is finished,” said Coleman. Preliminary construction of the new cruise port facility in Bayonne, New Jersey was halted on Friday after it was discovered plans for the port makeover included the removal of hundreds of memorial pavers that surround the September 11 "teardrop" memorial. Residents were "outraged" according to NJ.com, after learning the $50 million project would include the "temporary" removal of about 300 pavers. Frank Perrucci, chairman of the Sept. 11 Bayonne Remembers Committee, said he was told by workers at the site that the construction project would cut through a portion of Harborview Park -- where the "To the Struggle Against World Terrorism" memorial is located -- and would mean the "temporary" removal of about 300 pavers. The memorial will not be affected and workers indicated that the pavers would be put back into place when the construction is complete in May. 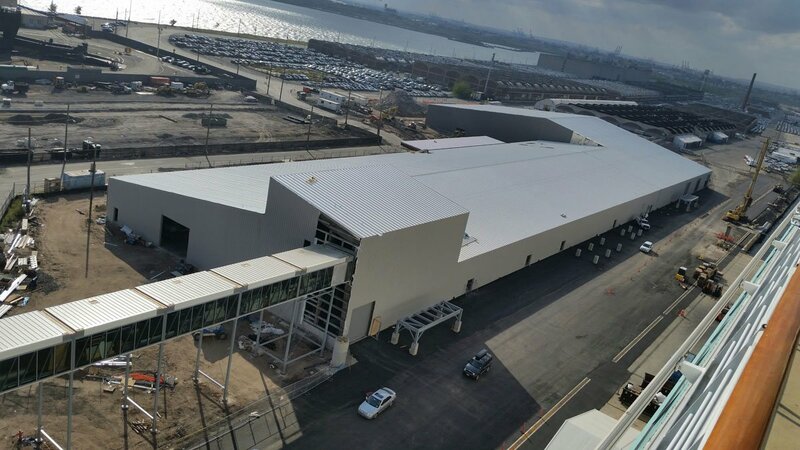 The cruise port makeover includes a new Cape Liberty Cruise Port terminal building, a parking garage, an overflow paved parking area and berth improvements on land owned by Port Authority. The Bayonne City Council unanimously approved a loan to Royal Caribbean to provide "non-recourse financing" for Royal Caribbean's plan to expand at Bayonne's Peninsula at Bayonne Harbor. Joe Ryan, Bayonne spokesman, indicated the city would act as "conduit" for the project funds, allowing Royal Caribbean to take advantage of the city's favorable financing rates for the $50 million project that includes a new terminal and parking facility. The city council approved the request Wednesday night. "(This deal) means we're not responsible for the debt," Ryan said. "So in this case the city is assisting with the application on behalf of Royal Caribbean, but we would not be responsible for handling the debt. Royal Caribbean is." 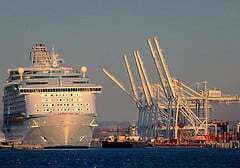 In addition, Royal Caribbean will pay Bayonne a $250,000 application fee and $50,000 annually to monitor the financing. City officials estimate the new port facility will be finished just in time for the launch of Quantum of the Seas in November 2014.